This blog post was written by Paul Sangalang who is an intern at Conexión Marketing. He has received a B.A. in Business Administration from Washington State University in International Business and in December he will receive a second degree in the Spanish language. 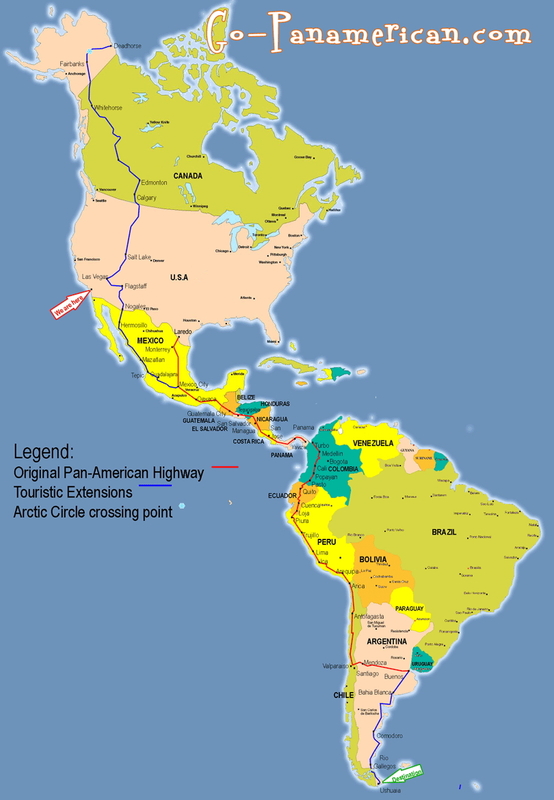 Levi jeans, in conjunction with the Discovery Channel, will follow the journey of 5 young U.S. Hispanics on their journey from Alaska to Argentina by way of the Pan-American Highway. The 10-week show will be broadcast in Spanish and is accompanied by a bilingual website. The three men and two women who were chosen to partake in this “trip of a lifetime” will have 10 stops along the way where they will work on projects related to music, style or design; all while wearing the latest from Levi’s Work Wear collection. This TV series will represent Levi’s principal effort to-date at attracting the Hispanic market to the brand. If you read about Hispanic marketing here or elsewhere, you know that research has found the Hispanic segment to be generally young and a prominent user of social media. Levi’s is harnessing this vital piece of information by kick-starting their Levi’s-branded website with frequent updates from the 5 stars. These status updates can then be shared on other social media networks such as Twitter and Facebook to increase awareness and foster a base of followers for the show. This is all in conjunction with their “Go Forth” campaign, chosen specifically as the “pioneering” aspect was found to connect with the Hispanic market. While the show will air in Spanish, Levi’s target market is the young bilingual Latino. This is one of the main reasons why the website following the show will be in both English and Spanish. Marketers have consistently found the task of successfully reaching this segment to be one of the most challenging and Levi’s hopes to have found an innovative way to reach out to them. Levi Strauss & Co. is one of the United States’ great business pioneers, being founded in San Francisco, California in the 19th century. While the goal of the show is to target the Hispanic market, I feel that the general U.S. public can relate to the story. The United States was founded by explorers and pioneers willing to travel through uncharted land. This modern-day version, albeit with charted maps, illustrates a similar journey of new experiences and learning about one’s self. I think it’s important that we, from time-to-time, go out and explore new frontiers and have new experiences…but if you can’t do that, at least you can zip up a new pair of Levi’s and follow these 5 Latinos on their personal journey through North and South America. NO ES MUY TIPICO - my chance to share stories about my experiences in Hispanic marketing. What makes me atypical is that 1) I'm a gringa, and 2) I'm in ... Seattle! We've got a group on Linked In! I am a bilingual Seattleite. I started working in Hispanic marketing nearly 20 years ago, and since have spent most years honing my skills in this niche market and learning, every day. I learn from research and industry news, through my travels, from my clients, and from my Latino friends. As I learn more I'll share with you, perhaps not through daily posts, but I'll post as things happen. You'll also find local Northwest-area events and other Latino community notes of interest. Why am I doing this? To show that there is indeed a Hispanic market right here in the Northwest, and even in Seattle! Find out more about me and Conexión Marketing at www.conexion-marketing.com.